Indian Creek is known the world around for its splitter cracks to the sky in Wingate Sandstone in a valley that if no one had to buy groceries, they would never leave. It would take a lifetime and more rolls of tape than imaginable to climb all the routes in Indian Creek. It is a huge area, there are a few famous climbs that are flocked to, but there’s lots of climbs away from the craziness of Super Crack. The whole area is under assessment by the BLM, so tread lightly, pick up your trash and pack out your waste. The Indian Creek Corridor is a 26-mile stretch landscape with buttresses of wingate aandstone. It is beautiful. 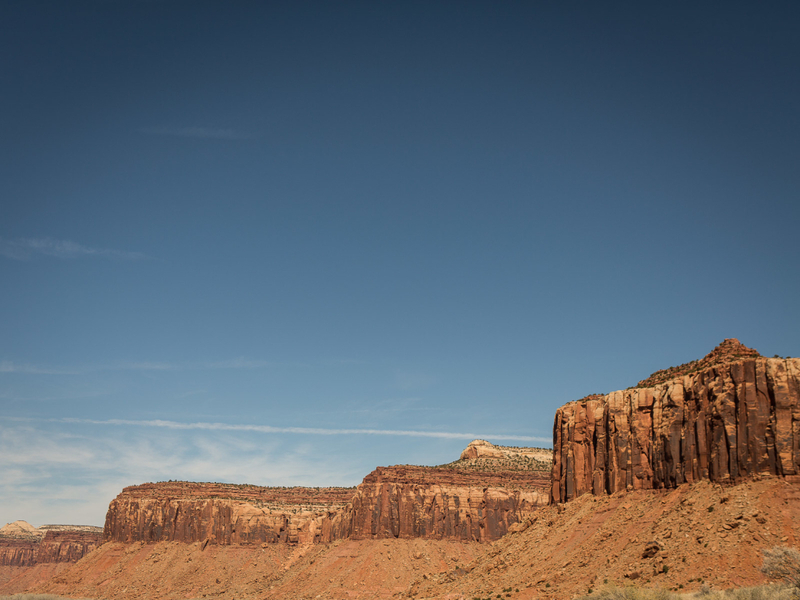 It feels like the Wild West… with a lot of other climbers from around the world. It is this popular for a reason, the cracks are outstanding and they are hard. Almost all of the climbing is trad - this is not a sport climbing area. This is also not a place to be testing your 5.10 lead skills on Sandstone for the first time. Go to Wall Street in Moab and get used to the rock before heading to Indian Creek. The routes will eat a large collection of camming devices; routes can take as many as 10 cams of the same size. You will need a large rack of large cams! Indian Creek is hand cranking, feet bruising crack climbing. There are a couple of 5.8s or 5.9s if you can call them that, the ratings rise sharply from there with the majority of the climbs in the 5.10-5.12 range. Drive south from Moab on 191 and drive 40 miles. Take a right at the rock that looks like a submarine following signs for Canyonlands Needle District. Over the next 12 miles, be careful of Mule Deer, at night there can be miles of hundreds if not thousands of them surrounding the road. In 12 miles and significant elevation drop stop and check out Newspaper Rock, an impressive panel of Petroglyphs dating back 1500 years. The Indian Creek Recreation Area starts after Dugout Ranch 7 miles further. This is BLM area. There are no fees for parking but there are strict regulations for camping and waste removal. They are summarized and updated at this site. Do not mess with the rules here. It’s all under scrutiny. As it is BLM dogs are allowed and there are no restrictions on them.